Jerry Harnik, CLU®, is a Partner of Strategies for Wealth, with offices in Manhattan, Rye Brook, and on Long Island. He began his career in 1976 with The Guardian, and after three years as a field representative, moved into management. His primary responsibilities include overseeing the training and development of the firm’s representatives. Jerry attained his Charter Life Underwriter® Designation from The American College in 1992. He is a Life Underwriter Training Council Instructor and was the Chairman of the Agency Management Training Council of Greater New York. Under Jerry’s leadership, the Firm has led Guardian in core product sales for the last 12+ years; and, the agency has won the President’s Cup Award for the best overall performance in production, recruiting, agent development, training and persistency in 2000, 2003, 2006, 2009 and 2013. In 2005, 2006, 2008, 2009 and 2013 the agency won the Medallion Platinum Award. The Firm has also been one of Guardian’s Platinum Agencies since 1998 and has won the National Life Insurance Award since 2000. The Firm has also received the Guardian Quality Agency Award thirteen times (1985, 1988, 1996, 1998-2002, 2004-2006, 2008 and 2009) and the Productive Growth Award (since its inception) in 2009. Jerry served as Chairman of Guardian’s Field Advisory Board in 2005 and 2006. After hours, Jerry is very dedicated to giving back to his community, particularly in the area of children and their well being. Jerry has been a strong supporter of CAPP (The Child Abuse Prevention Program) for over fourteen years. CAPP is an organization active in protecting the lives and rights of children in the five Boroughs of Manhattan. He has served as Chairman of the Board, as well as chairing their annual dinner event. Jerry and his firm are also proud to support the Maria Fareri Children’s Hospital at Westchester Medical Center, having raised over $1 million since the hospital’s inception. The firm participates in New York Cares Day Winter Adaptive Games for New York City Children with Disabilities and in Connecticut’s Special Olympics Golf Tournament. 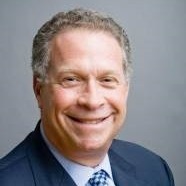 Jerry currently serves on the Board of Directors for WJCS (Westchester Jewish Community Services) and in this capacity was named as The Wall Street Journal’s donor of the day in August 2011. He and wife Audrey were married in 1977 and have two grown children, Julie and Evan, and daughter-in-law Maxie. Registered Representative and Financial Advisor of Park Avenue Securities and General Agent of Guardian.